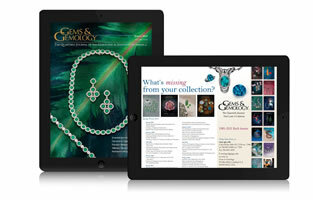 As the award-winning quarterly journal of GIA, Gems & Gemology publishes the latest peer-reviewed research on diamonds and colored stones — where they are found, their special characteristics, simulants and synthetics, treatments, and identification techniques. View the current issue and purchase online. The Institute's monthly electronic bulletin offers a mix of timely industry analysis, the latest research from Gems & Gemology, education updates and coverage of GIA activities, delivered straight to your inbox. Read the latest issue and subscribe online. This quarterly electronic newsletter keeps you up to date on GIA Alumni Association news and upcoming events. Read the latest issue and subscribe online.